Nell'episodico e imperscrutabile piano di ristampe in vinile avviato dalla famiglia Zappa non sfuggano intanto Uncle Meat (1969) e Roxy & Elsewhere (1974), titoli cruciali nell'intero catalogo. Both albums are released by Zappa Records/Barking Pumpkin Records and distributed by Universal Music Enterprises. Uncle Meat was Frank Zappa and the Mothers Of Invention’s fifth studio album. Released in 1969, the acclaimed experimental double LP peaked at no. 43 on the Billboard 200 Albums chart. 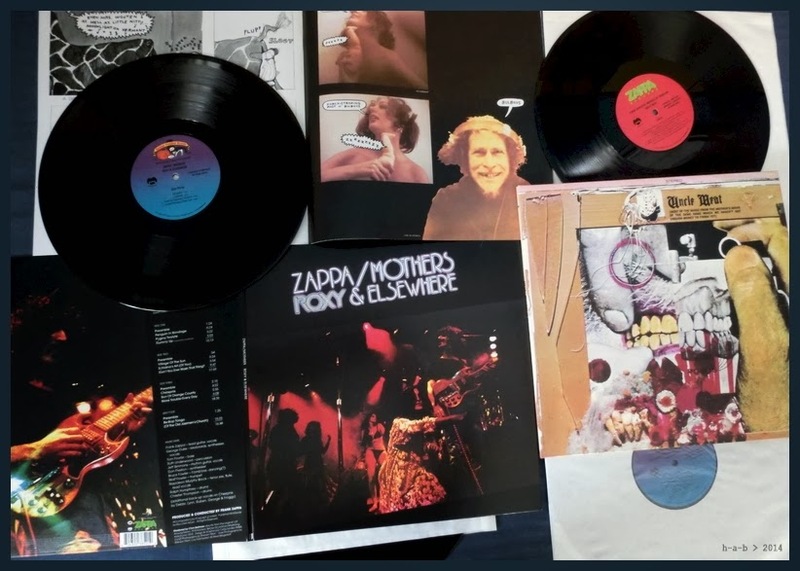 Roxy & Elsewhere, Frank Zappa and the Mothers’ 1974 double live album, culled from the performances of three December 1973 nights at the Roxy in Los Angeles, as well as from May 1974 concerts at Edinboro State College in Pennsylvania and Chicago’s Auditorium Theatre. Produced by FZ, and recorded live with studio overdubs.